Possibly the finest Danish cabinet we have ever come across. 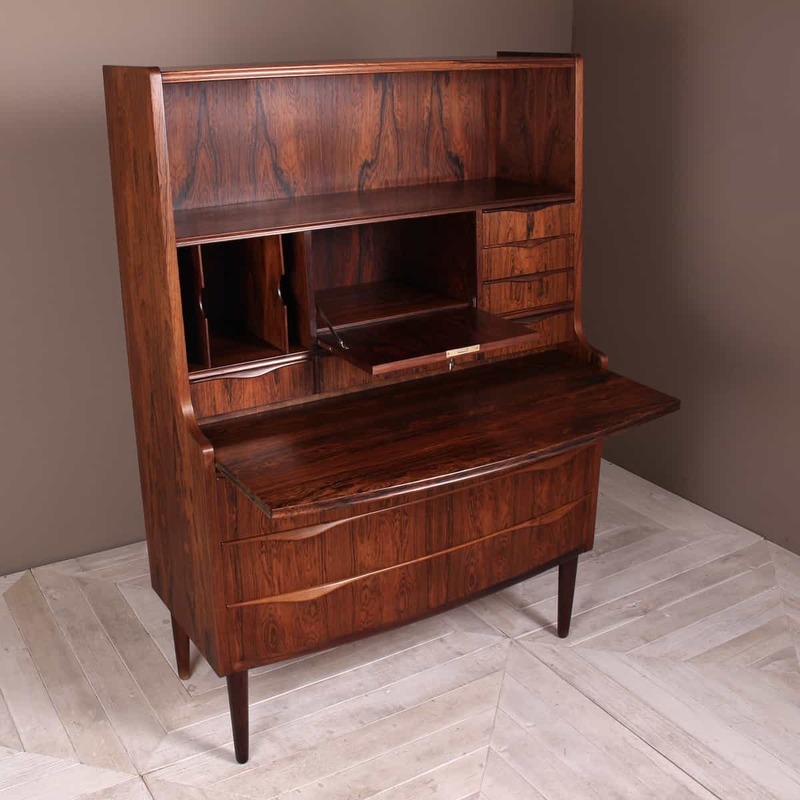 Beautiful timber with top class cabinet making. 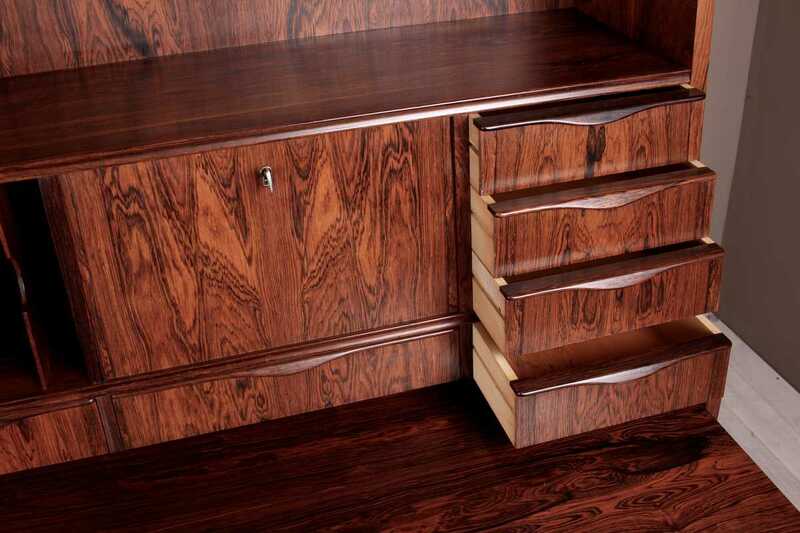 All the drawers and the desk section slide well. It’s in incredible condition for its age and the wood colour and grain is sublime. 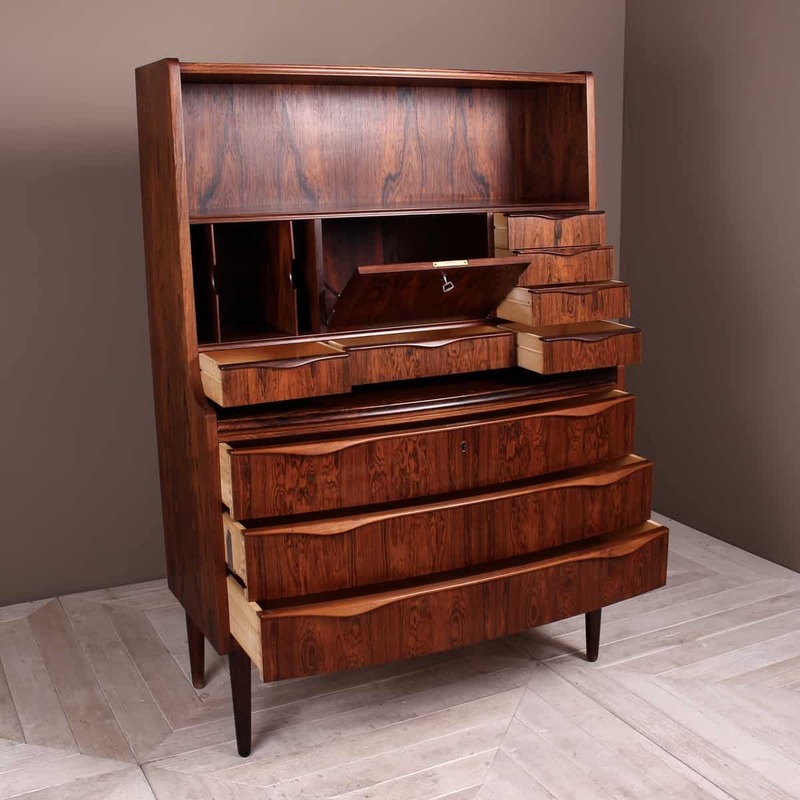 An incredibly functional piece of furniture and design with a total of nine drawers, two shelves, three pigeon holes, a lockable cupboard, which could be used as a drinks cabinet and an ingenious writing slide. 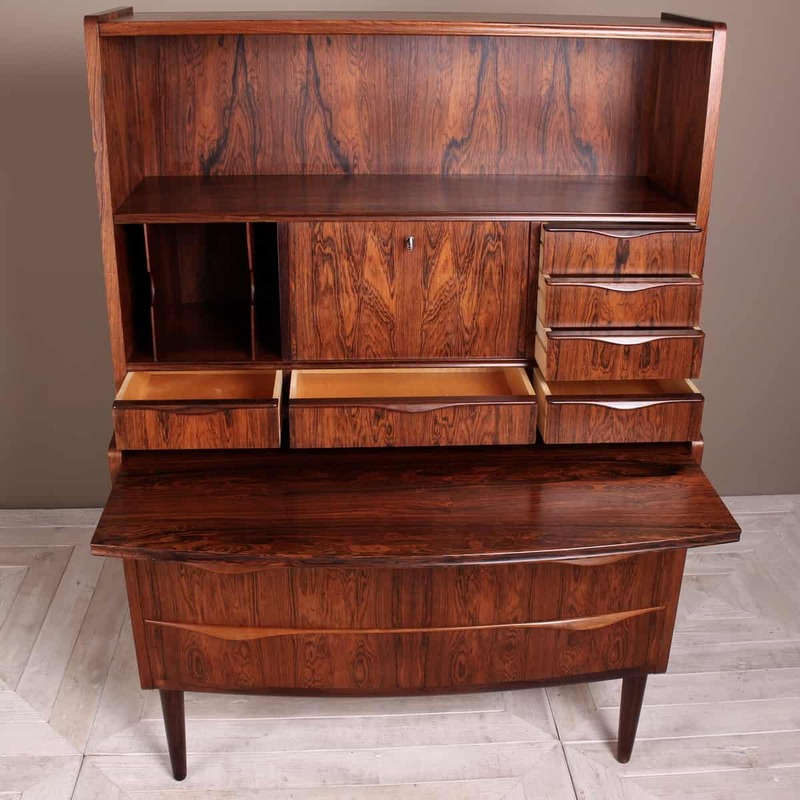 Rare to find one with all the beautiful handles still intact. The shelves and slide all finished with a nice fluted edge. 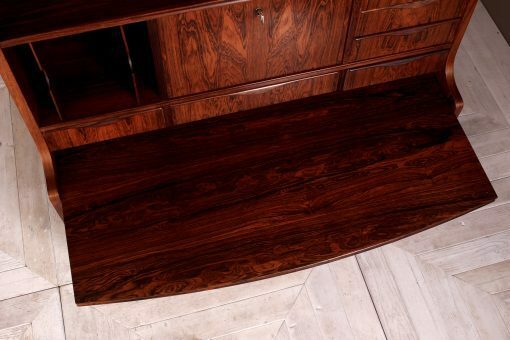 The bottom half of the cabinet has the most delicate curved form captured in the front of the desk slide. 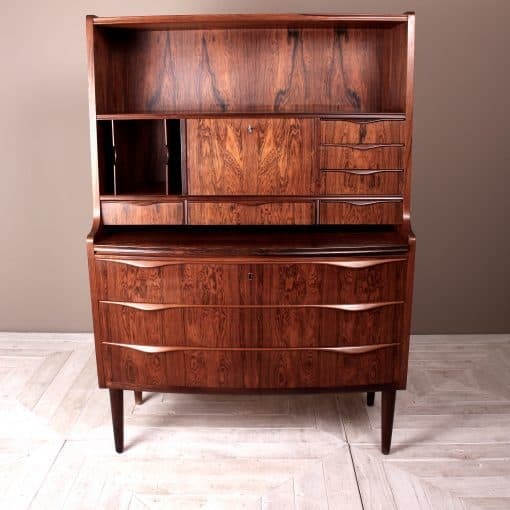 Danish design and cabinet making at its finest. Dimensions: 143.5cm high x 46cm deep x 100cm wide. Depth with the writing slide open is around 74cm or 29 inches.